“I have MS, but I don’t let that define me. In my wheelchair, it’s obvious that I’m physically challenged, but I’d much rather be known as the ‘artist’ in the wheelchair. Shortly after my diagnosis, I was on my computer one day and, on a whim, drew a bear using my mouse as my ‘pencil.’ It was far from perfect, but resembled a bear well enough to capture my interest. I began steadily developing the skill, and now most of my day is spent at my computer, mouse in hand, creating images on the screen. 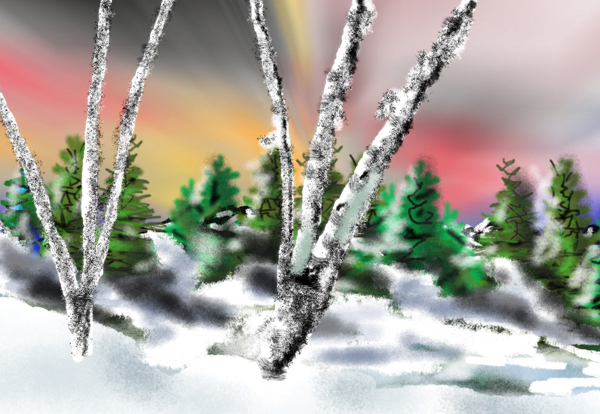 This entry was posted in Artist of the Month and tagged apple valley, art and ms, art showcae, art showcase, artist of the month, artists with ms, awareness, birch trees, bob donner, digital painting, ecard, ms community, msaa, multiple sclerosis, winter and MS by John MSAA. Bookmark the permalink.